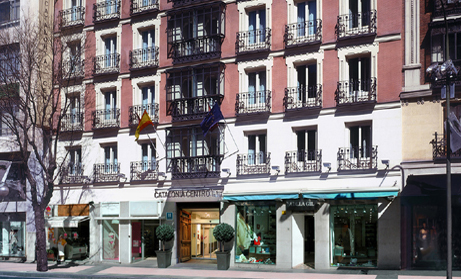 The Catalonia Centro is an elegant, brand new hotel just opened in 2005 and housed in a classic and charming 19th century building with a brick facade and beautiful bay windows typical of Madrid. 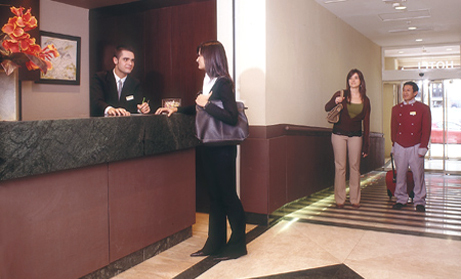 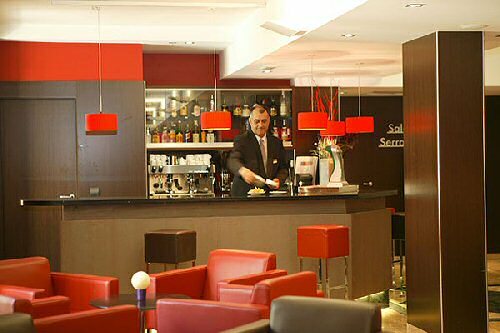 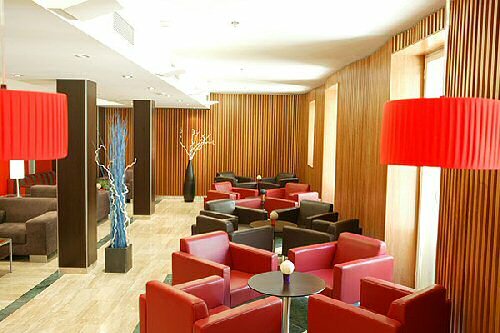 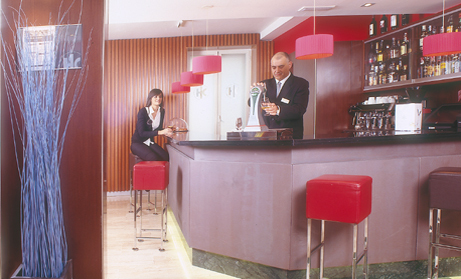 The hotel offers a wide range of facilities and services such as a relaxing bar, a restaurant preparing both local and international specialties and a welcoming and professional multilingual staff ready to give information about the city and generally to make the guests stay spotless. 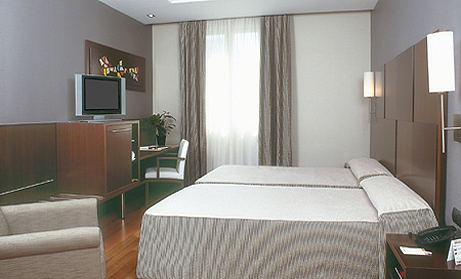 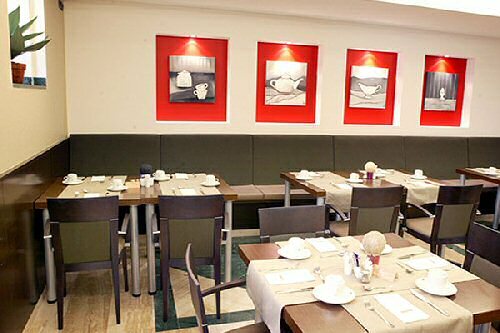 The Catalonia Centro has 88 rooms all nicely decorated and provided with modern comforts like air-conditioning, safe, satellite television, pay movies, phone, modem connection, minibar and a full bathroom with hairdryer. 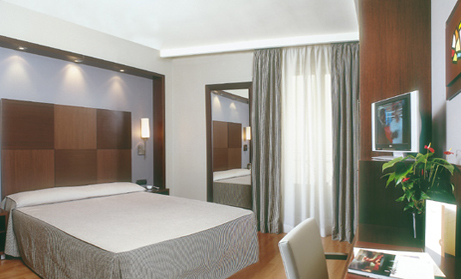 The location of the property is in the heart of Madrid within the antique and well-known Barrio de Salamanca one of Madrid's most exclusive shopping area at walking distance of the Retiro Park as well as the National Archaeological Museum and the National Library Museum. 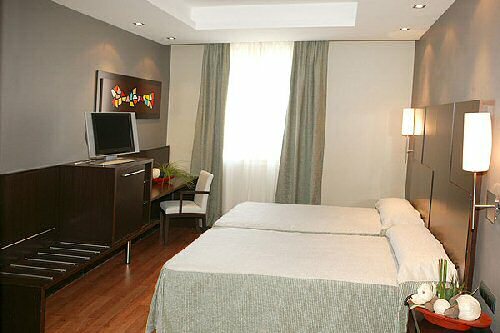 All prices are in US dollars, per person for this package.